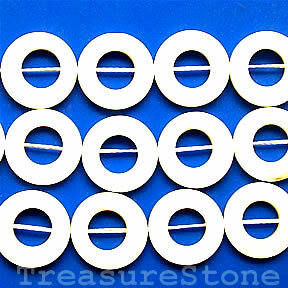 Bead, shell, white, 20/10mm donut. Sold per 16-inch strand. 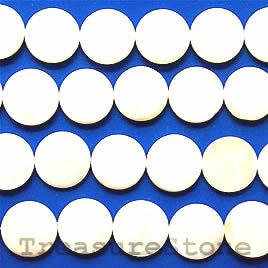 Bead, shell, 20mm flat round. Sold per 16-inch strand. 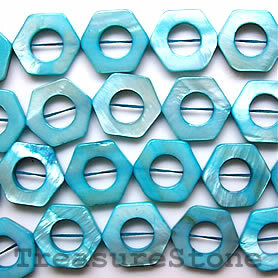 Bead, shell, blue (dyed), 17/10mm hex. Sold per 16-inch strand. We offer custom beading gift kits at different prices. $25, $50, $100. 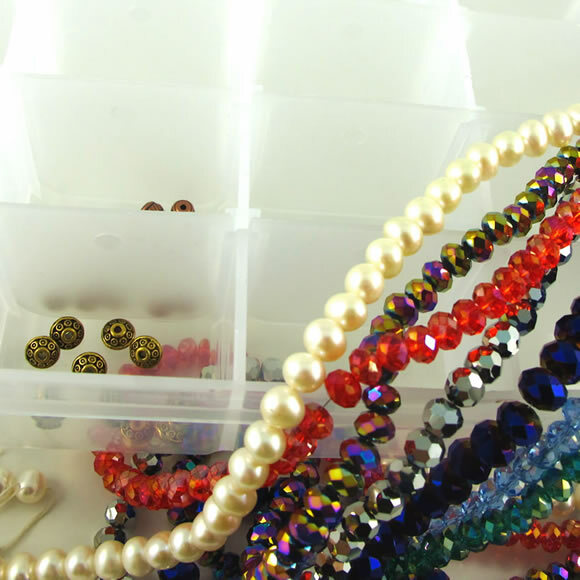 It includes different color seed beads, crystal beads, gemstone beads, charms, chains, beading wire & other findings.